This is a list of the main events that happen throughout the year. For more information, contact the tourism association. If your visit is at the same time as a local festival, make sure you join in – the people here will make you very welcome! 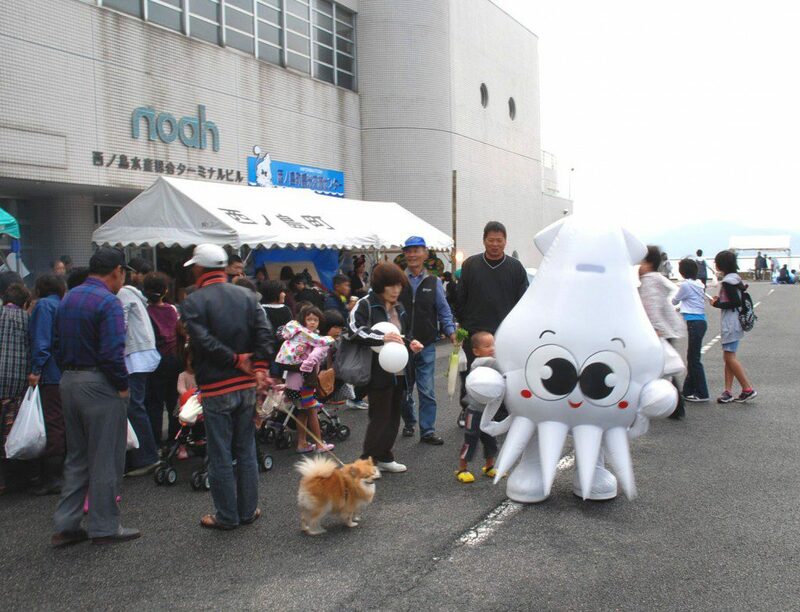 There are other events happening around Nishinoshima and on the other islands throughout the year. 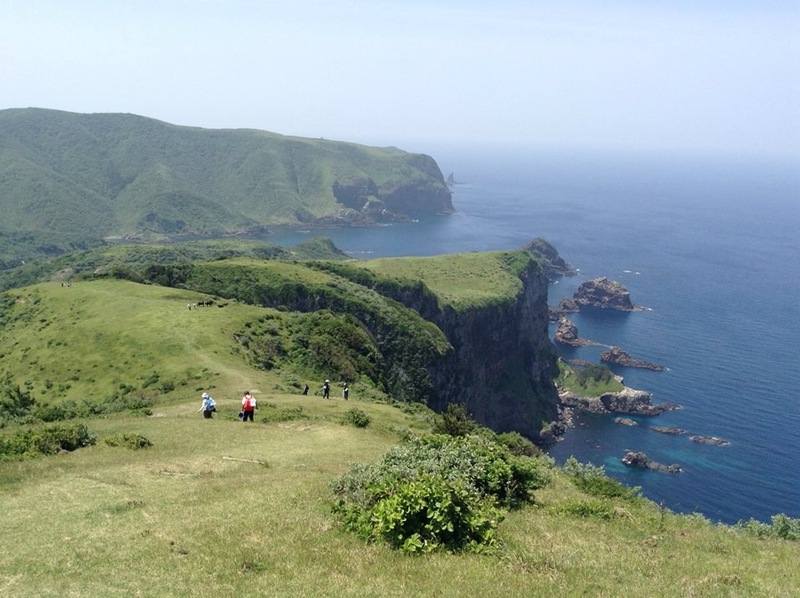 For more information, visit the Oki Islands Tourism Association page. 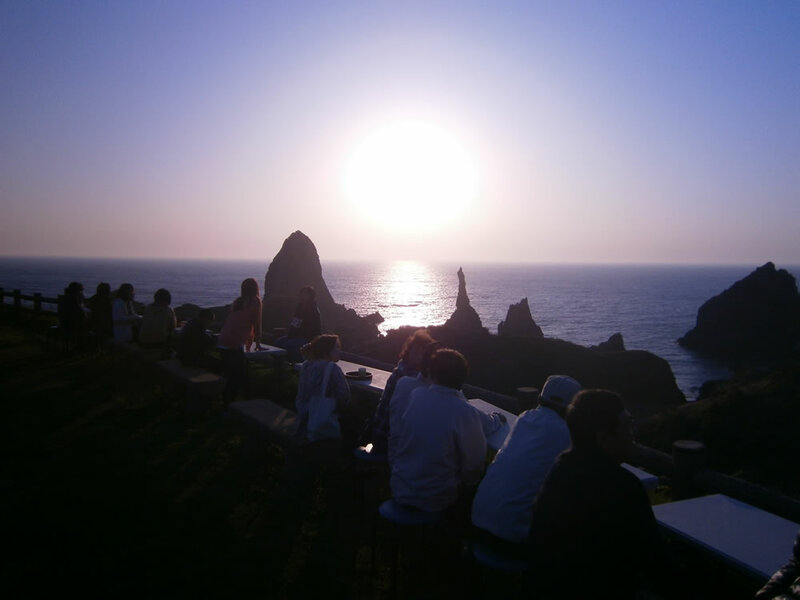 We recommend you visit the Oki Islands from spring – autumn. 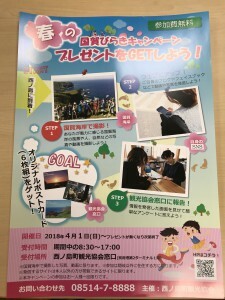 Get 6 FREE beautiful postcards of Nishinoshima Island! 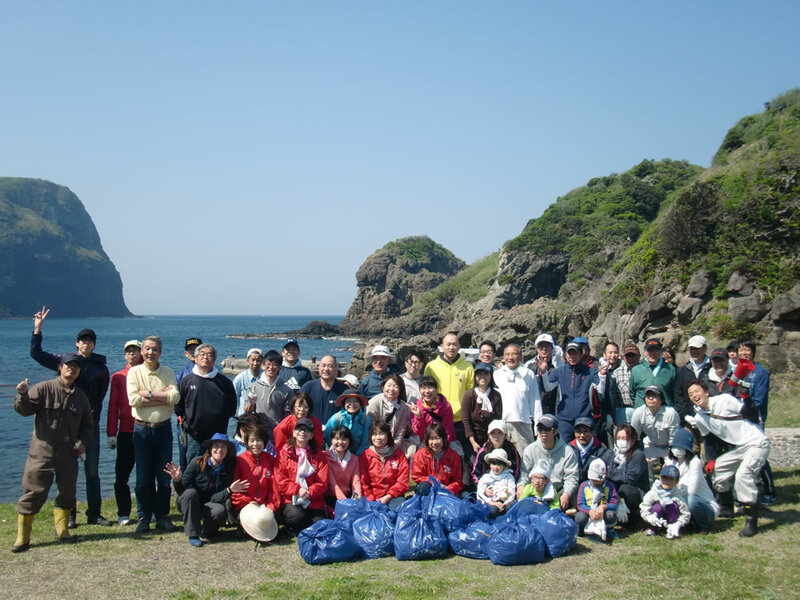 This is an annual spring event to clean the rubbish gathered from the current during winter. Come help clean the beach, enjoy morning tea with the locals, learn about the environment! Join other tourists and locals to watch the sunset and enjoy homemade sweets, tea and coffee. Walk around the three Oki-Dozen area islands with locals and walking enthusiasts from around Japan! Enter in advance. 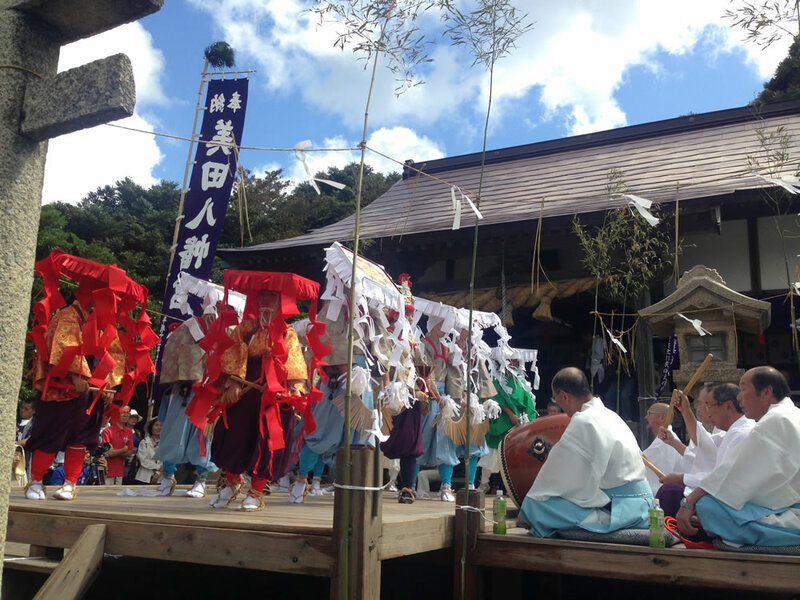 Enjoy watching local heroes carry the heavy mikoshi (portable shrine) through the streets, watch Kagura (traditional Shinto dance and music) and join locals in honoring the gods of Takada Shrine. If you become friends with someone, they might invite you into their home for supper! 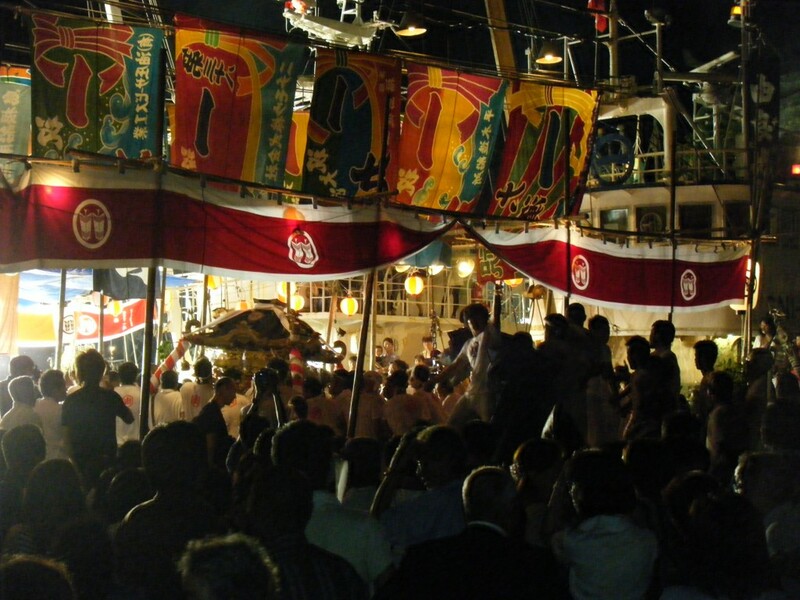 Enjoy watching local heroes carry the heavy mikoshi (portable shrine) through the streets and on to a special boat, watch Kagura (traditional Shinto dance and music) and join locals in honoring the gods of Kai Shrine. 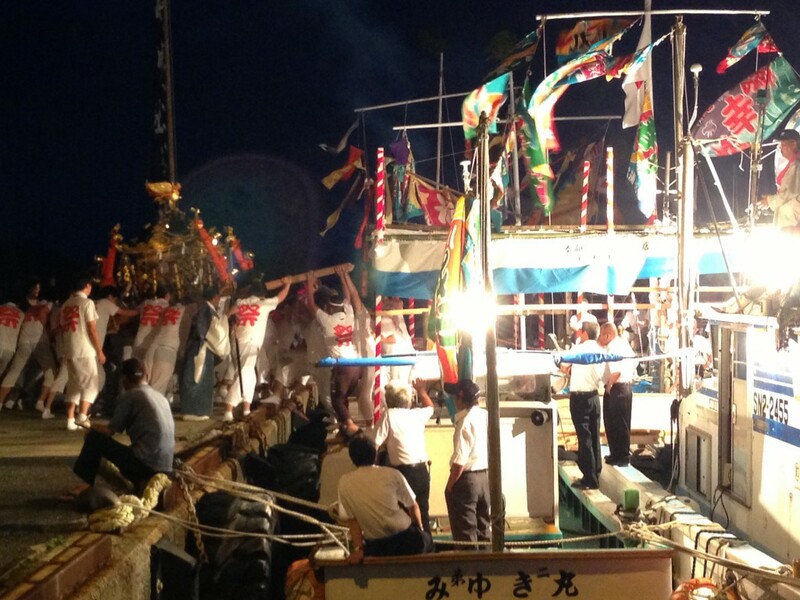 The local men (mikoshi carriers) try to push each other into the sea – almost everyone goes home wet! 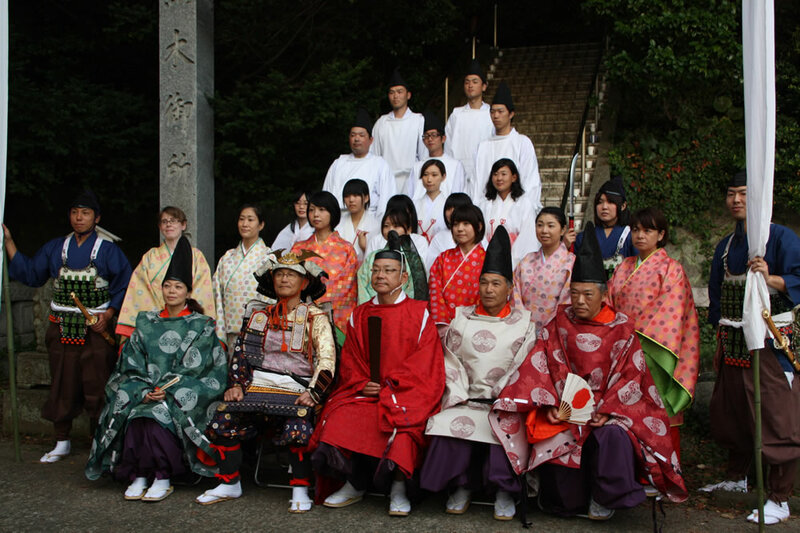 Climb up to Takuhi Shrine (15 – 20 minutes from the carpark) and spend the evening with local people enjoying special shrine food and watching traditional shrine dance and music. We recommend you contact the priest in advance if you wish to join in. Enjoy watching local heroes carry the heavy mikoshi (portable shrine) through the streets and on to a special boat, view a fireworks display on Saturday night, watch Kagura (traditional Shinto dance and music) and join locals in honoring the gods of Yurahime Shrine. We recommend that you board the special boat with mikoshi carriers and locals that circles the inner sea as part of festival celebrations. You can watch the fireworks from the boat. A small sumo tournament is held during the festival inside the shrine grounds. 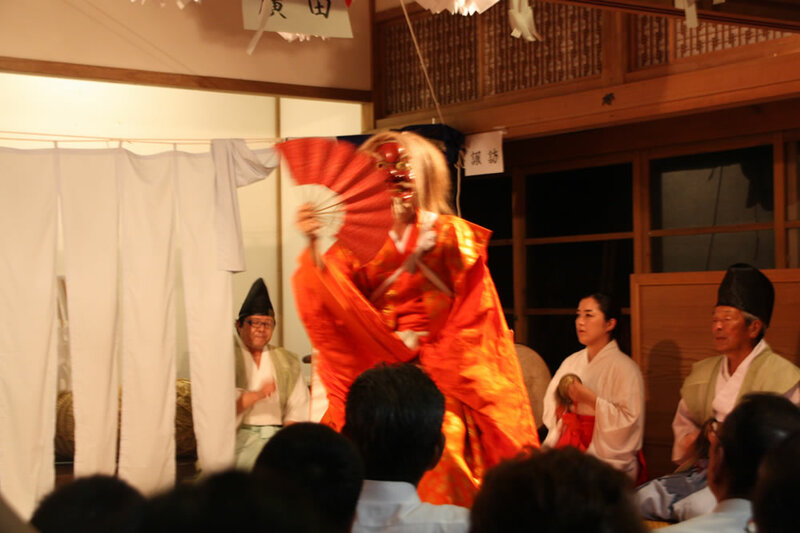 Meet with local people to celebrate the Obon Festival by joining in the special rhythmical dance Bon-odori. 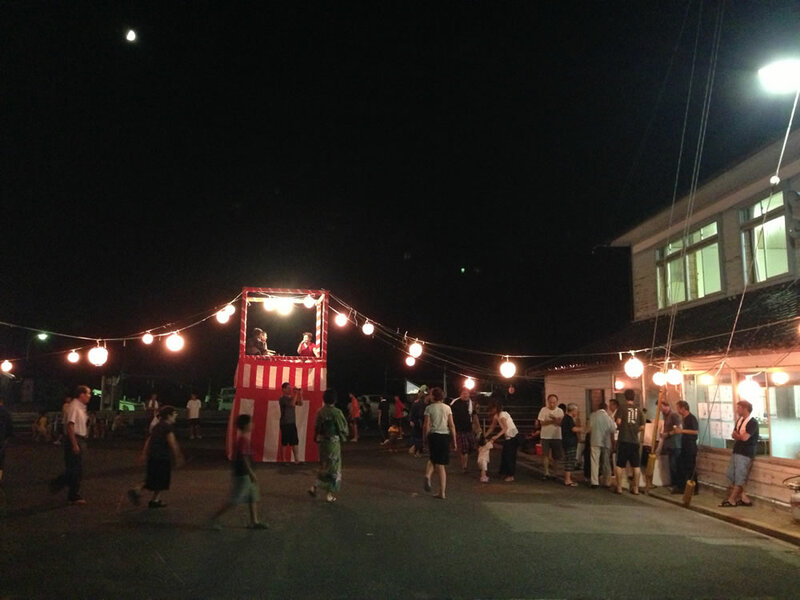 Obon is celebrated all throughout Japan as the period during which ancestral spirits are said to return to their homes. Obon is celebrated all throughout Japan as the period during which ancestral spirits are said to return to their homes. Many places place lanterns laden with lights and offerings to symbolize the return of the ancestors following Obon. 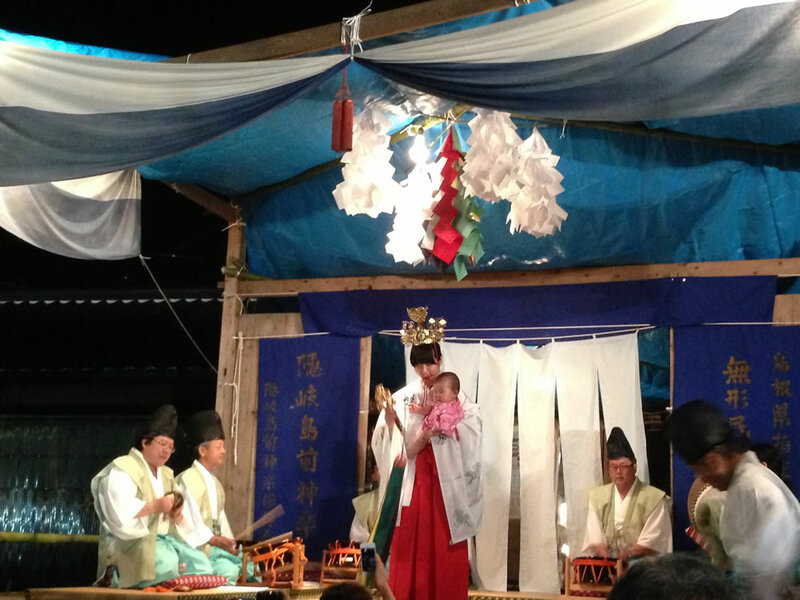 In Nishinoshima Island the tradition is quite different. Instead of lanterns, ancestors are bid farewell with Shara-bune. 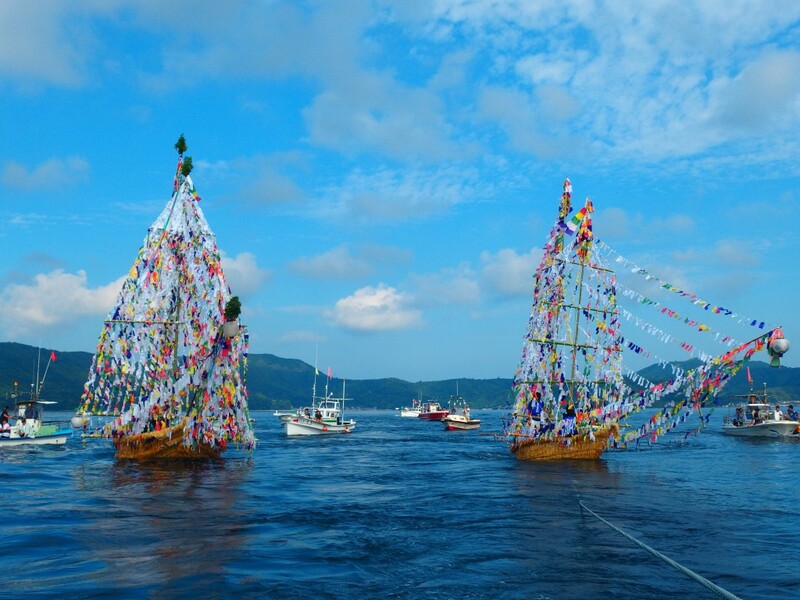 These boats (made by junior high school students and village elders) are laden with offerings and the sails are decorated with colorful Buddhist sutras. It is thought that the word shara is derived from shoryo, which means ‘spirit of the deceased’. 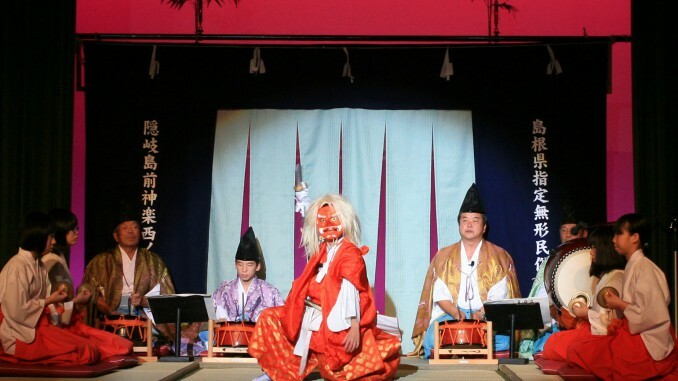 Shuhaira, meaning ‘to worship in ten directions’ has been designated as an Important Intangible Folk Cultural Property of Japan. It is uncertain when these dances began, but according to documents about the religious festivals, it was already being performed by the end of the Muromachi Period (1338 – 1573). The rhythm of the drums and chanting while dancing is very intriguing. A small sumo tournament is held during the festival inside the shrine grounds. ★Emperor Godaigo was exiled to the Oki Islands, most likely to the area around Beppu Port known today as Kuroki-gosho (Imperial Residence Site). The local tourism office plans events including a history tour, festival parade, food stalls and free museum entry during the day, then a fireworks display in the evening. 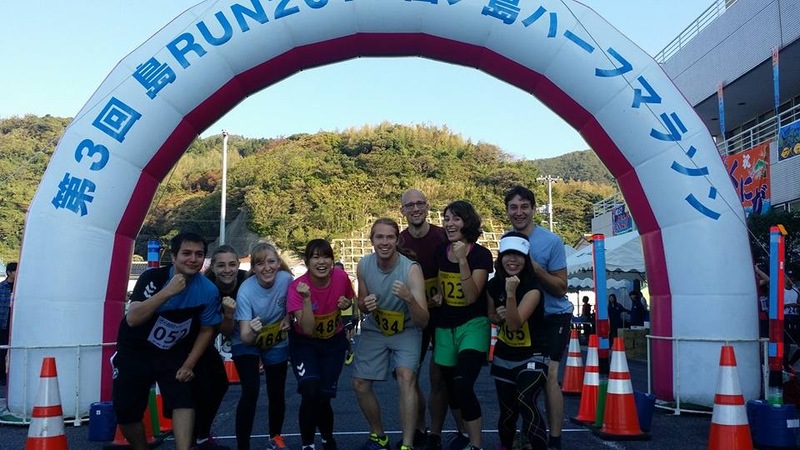 Run up and down the hills along the spectacular Kuniga Coast with locals and running enthusiasts from around Japan! Enter in advance. Come and enjoy many different types of fresh local seafood, taiko drum performance, and many more!